We have had our seat for 4 years. It has served us well and looks great... once I wash all the kid grime off ;). If you wash the covers gently and mostly air dry them they will last and look great. Only now on year four am I starting to notice the fabric showing some wear where my son slides across the arm rests. We are so satisfied that we are getting another for my daughter. Yes the seat is heavy and so it makes transferring it not super easy. However it's heavy for a reason!! Safety!!! I don't mind the workout because I know my kids are safe in those seats! This car seat is exactly as described and was a great price through Albee Baby. It is a monstrosity but most of the reviews had mentioned this prior to ordering it. We were looking for a super safe option and this car seat was rated at the level we were looking for, so we can deal with the overall size and weight. We also wanted the ease of installation which I’ve never installed a car seat as quickly as I installed this one! My 15 month old seems to be very comfortable in it as well. The only thing I would say is if you travel a lot and need to haul a car seat along with you; this would not be the seat to drag through the airport! We loved this car seat a lot. The only con seemed to be that it was wide, so if you needed multiples across the back seat, it might not work. The 3 star rating is because my son outgrew both the rear and forward facing hight by the time he was 16 months old. If we hadn't liked it so much before he outgrew it, the short amount of time it was appropriate would have warranted a 1 or 2 star rating. Neither my husband or are are particularly tall, and when we bought this seat my son was below the 50th percentile for weight. We have 3 Advocates for our children. Our five year old fits perfectly in his and it supports him perfectly. Our two year old is rear facing in hers. Features we love: click tight, adjustable height without rethreading the straps, ease of washing the covers and getting them back on properly, and latch install. I bought two car seat. Those are really great. And I can wash those very easily. We are big on car seat safety. I did hours upon hours of research before purchasing the Britax Clicktight Advocate. We have 3 kids so we purchased 3 of the same seats for them. The seats are super easy to install! East to adjust the headrest height as they grow. However I feel that the design needs some improvement. A big thing being that the cover does not stay on around the edges. My 3 and 4 year olds climb in and out of their seats on their own- then I strap them. The cover is always popping off around the edges at the top of the seat/headrest. 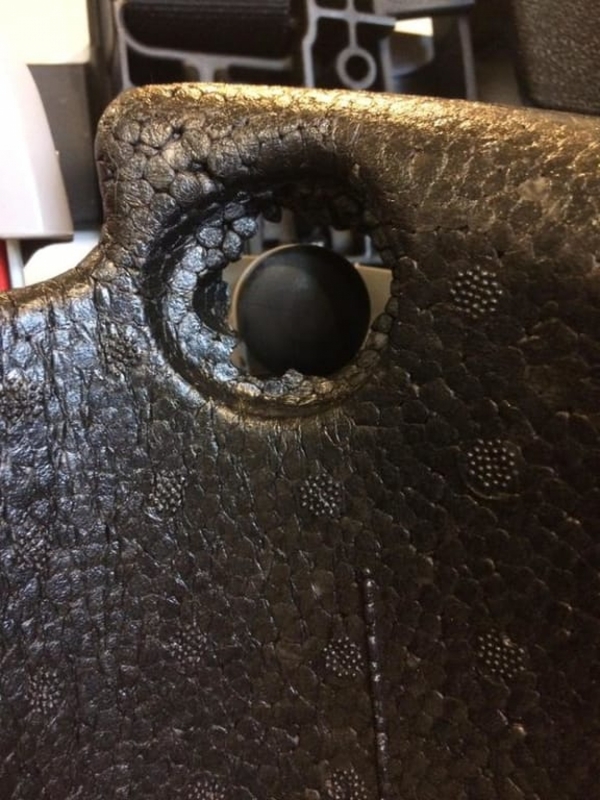 On my 4 year old's seat the foam on the headrest has broken apart from the headrest. We have had these seats for about 15 months! For the money spent on each seat I don't feel that they should be breaking and coming apart from every day wear and tear so soon. Not impressed. This has been a great buy for our son. He enjoys being in the car way more when we switched him to this car seat. Seems to be more comfortable for him. It’s is easy to get in and out of different vehicles when we need to. I took it with us on our flight and had it checked and it did great. I did purchase the britax bag. ConsIt is big left to right due to side impact materials but in our mini van we have plenty space. Just noting this so people are aware of dimensions. If you have multiple car seats on a single row you�€™d want to measure. Hands down best car seat I've ever purchased! We have a couple of cheaper extra car seats for emergencies and I cringe at the thought of using them because I've been so spoiled by this car seat! We have the britax marathon and decided to get the abdicate for our 2nd car. Love this car seat. Not only does it look good, it looks roomier and more connectable for our 13 month old. Love the added side protection as well. It is a bit wider, taking up more room in the back but its worth giving up a little space for the added protection. I love the safety features and simplicity of installation for this car seat. 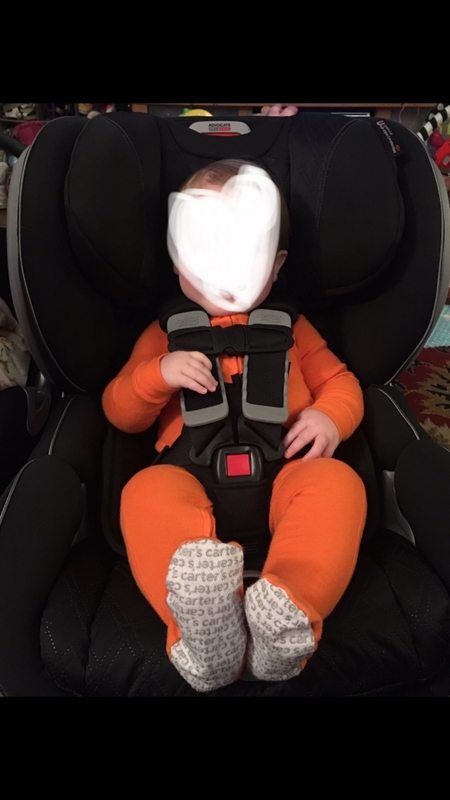 I ordered the ARB with it and feel very confident that my baby has the most protection a car seat can provide him in an accident. Shipping and purchase though Albee were simple and haste free. Albee had the best advertised price I could fine. Sturdy well made car seat. A little heavy but then the steel frame makes it a safer seat. I found the directions very confusing in the manual so I watched the videos online. I am a visual person when it comes to directions so it was so much clearer to me and so easy. I would definitely recommend this car seat!! This is our second Britax Advocate ClickTight! We bought the Kate print for our daughter and it is beautiful. So great we bought another in to put in out other car. Super safe and she is very comfortable in this seat. Sure it is on the heavy side, but sure beats something flimsy that won't protect if needed. Highly recommend. Fortunately our little one feels comfortable in this car seat. And it is more convenient for me than infant car seat. I heard that Britax is #1 product in safety and this advocate is their high-end model. The baby loves it and we love it. I bought this car seat for my first son when he was six months old. 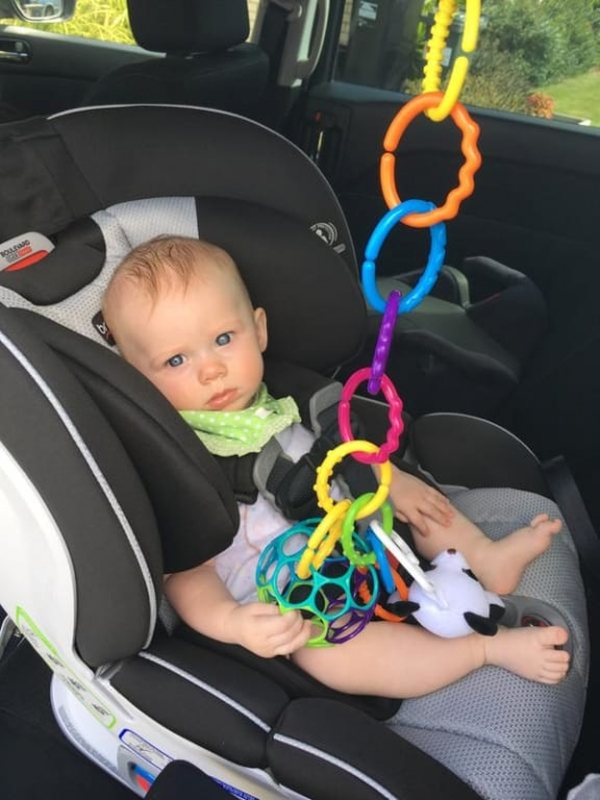 His infant car seat didn't last long because he seemed so big for it, even though he was still within the weight specifications. I bough a second one for my next son due in September. It is built very well and has a lot of padding and protection. The bulkiness is a plus and a minus because we often move it from car to car. It's heavy, but worth it. It takes about ten minutes to move from one car to another. My 2 1/2 year old loves it and I get the piece of mind that he's safe. It does take up quite a bit of space in the car, even when it's in our SUV, but again, I think it's worth it for how much padding and structure it has. Britax Advocate click tight convertible car seat - the best!!!! For first birthdays grandchildren,I have ordered from Albee baby the Britax Advocate Clicktight Car Seat. It is the best present to give children a car seat for a safe ride in a vehicle. 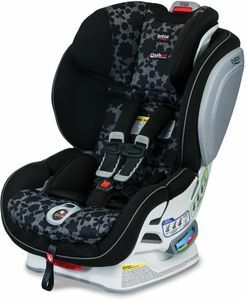 I love Britax products , their car seats meet high requirements for safety of children. Comfortable seating and easy to install. Thank you Albee Baby - you carry excellent products, I am so happy with your company , ordering , communication of delivery time. And delivery , perfect condition of all products I order. I ordered my daughters Britax in 2015 and I was so impressed with the pricing and prompt delivery of it!! I will never buy my car seats anywhere else! My daughter and I both love this car seat. Yes, it is a bit on the larger side, but to me that means safety. It has never seemed hot which says a lot in Alabama heat. She seems very comfortable in it and I think the fabric is very nice as well. I love the clicktight feature and the latch on the chest harness. I don't think she will ever be able to unbuckle it on her own. Overall, it's a very impressive car seat. I recommend! Best car seat. This the 4th seat I bought for my grandkids. Safety first! I have purchased 8 car seats and numerous strollers from Albee Baby. Best price, best service, no tax, no shipping charge. My daughter loves this seat, it is the best one yet. So easy to install and the click when child is secure is fabulous. ProsEasy to install, very comfy for child, very safe. This is the 2nd Clicktight Convertible Car Seat that I bought. It does not disappoint as it is very convenience to use. Shipped in a timely manner. I love the color of the seat.. very easy to put baby in and out of seat! It's heavy but I don't take the seat in and out...so it works fine for me. This is our second Advocate and we couldn't be happier. The one drawback is that it is very big. We are still rear-facing and in our CRV, I cannot slide the seat back as far as I would like when driving because of it's size. I was a bit skeptical that the ClickTight would be worth the extra money. It is worth every penny! It is incredibly simple and easy to install and it is so secure. My husband jokes that our son looks like he could go to the moon in this car seat. it is big, heavy,and bulky, but it's also comfortable, easy to install, and safe! I'm a big fan of Britax because of their ease of use and safety ratings. This new ClickTight system really seals the deal! I used to use a Chicco next fit convertible car seat which I loved, but needed to get another one after a severe car accident. I was thinking of getting the same carseat (since it saved my son's life) but read too many good reviews about this! We've been using this one for 2 weeks now and we Love Love Love it!! Secure ( love that it clicks), spacious and looks safe! Definitely recommend! A quality car seat with cute looks too. The seat itself is aesthetically pleasing and soft. The ease of transfer between vehicles is what sold me on this particular seat, the clicktight makes it super easy for anyone to do! It also was shipped very quickly, which I really appreciated! ProsEase of transfer between vehicles. Colors. ConsCould be bulky for someone with a smaller backseat. This car seat is very roomy and comfortable! It was a little difficult to install rear facing using the seatbelt in my 07 crv, however once I used the strap with the anchors I had no trouble at all. I know my little one is safe and comfy! ConsBulky I had trouble installing using the seatbelt in my model car. This thing feels solid! My baby fit comfortably in the carseat and seems to like being in it better than her infant carseat. Safety is a huge priority for me which is why I got the seat but I also love how pretty it is!